INSULATED Roller shutter doors offer all the traditional benefits of a ROLLER SHUTTER DOOR but with the additional advantage of enhanced insulation and reduced noise levels. This is particularly important for buildings that need to maintain a constant temperature. As with a standard roller shutter door, an insulated model will consist of many individual steel or aluminium horizontal slats. They are operated by rolling the slats around a barrel, directly up or down with the help of either a spring or electric motor, or both. An INSULATED door has more BENEFITS than just the thermal protection including: reduced noise levels, greater security and higher wind rating. 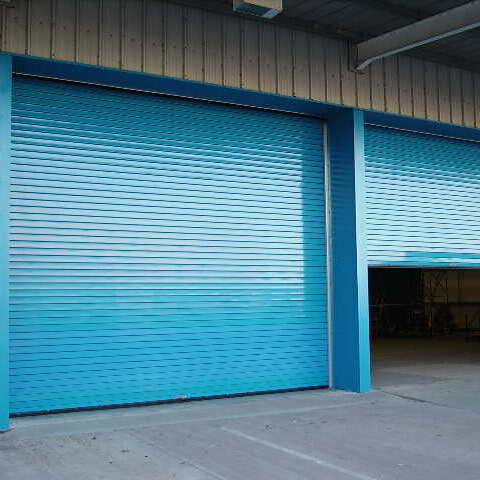 Industrial doors tend to fall into two categories – high or low usage and this determines the most appropriate motor drive system. For example a single-phase motor is not ideal for high usage areas, particularly if the opening is very high. The team at ENERCO can advise on insulation, material and finish options, depending on the intended use of the roller shutter doors.